As defined in category 1, Human Behavior, motivation is the reason one acts or behaves in a certain way and lies at the heart of goals. A goal is the object of a person’s effort. Motivation prompts students to engage in hard work and affects student success. Being smart or coordinated seldom guarantees success, but motivation routinely propels students to the top. An important part of an aviation instructor’s job is to discover what motivates each student and to use this information to encourage him or her to work hard. Motivation is probably the dominant force that governs the student’s progress and ability to learn and can be used to advantage by the instructor. Motivation comes in many guises. It may be negative or positive. Negative motivation may engender fear, for example. While negative motivation may be useful in certain situations, characteristically it is not as effective in promoting efficient learning as positive motivation. [Figure 2-22] Positive motivation is provided by the promise or achievement of rewards. These rewards may be personal or social, they may involve financial gain, satisfaction of the self-concept, personal gain, or public recognition. Figure 2-22. Insecure and unpleasant training situations inhibit learning. Motivation may be tangible or intangible. Students seeking intangible rewards are motivated by the desires for personal comfort and security, group approval, and the achievement of a favorable self-image. The desire for personal comfort and security is a form of motivation which instructors often forget. All students want secure, pleasant conditions and a safe environment. If they recognize that what they are learning may promote these objectives, their attention is easier to attract and hold. Insecure and unpleasant training situations inhibit learning. Students also want a tangible return for their efforts. For motivation to be effective on this level, students must believe that their efforts are suitably rewarded. These rewards must be constantly apparent to the student during instruction, whether they are to be financial, self-esteem, or public recognition. The tangible rewards of aviation are not always obvious during training. Traditional syllabi often contain lessons with objectives that are not immediately obvious to the student. These lessons may pay dividends during later instruction, a fact the student may not appreciate and resulting in less learning than if the student could relate all objectives to an operational need (law of readiness). The instructor should ensure that the student is aware of those applications which are not immediately apparent. To reduce this issue, the instructor should develop appropriate scenarios that contain the elements to be practiced. Everyone wants to avoid pain and injury. Students normally are eager to learn operations or procedures that help prevent injury or loss of life. This is especially true when the student knows that the ability to make timely decisions, or to act correctly in an emergency, is based on sound principles. The attractive features of the activity to be learned also can be a strong motivational factor. Students are anxious to learn skills that may be used to their advantage. If they understand that each task is useful in preparing for future activities, they are more willing to pursue it. Another strong motivating force is group approval. Every person wants the approval of peers and superiors. Interest can be stimulated and maintained by building on this natural desire. Most students enjoy the feeling of belonging to a group and are interested in accomplishment, which gives them prestige among their fellow students. Every person seeks to establish a favorable self-image. 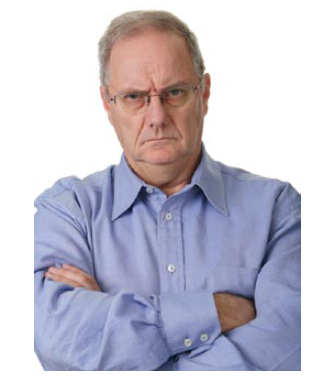 In certain instances, this self-image may be submerged in feelings of insecurity or despondency. Fortunately, most people engaged in a task believe that success is possible under the right combination of circumstances and good fortune. This belief can be a powerful motivating force for students. An instructor can effectively foster this motivation by the introduction of perceptions that are solidly based on previously learned factual information easily recognized by the student. Each additional block of learning should help formulate insight, contributing to the ultimate training goals, and promoting student confidence in the overall training program. At the same time, it helps the student develop a favorable self-image. As this confirmation progresses and confidence increases, advancement is more rapid and motivation is strengthened. Positive motivation is essential to true learning. Negative motivation in the form of reproofs or threats should be avoided with all but the most overconfident and impulsive students. Slumps in learning are often due to declining motivation. Motivation does not remain at a uniformly high level. It may be affected by outside influences, such as physical or mental disturbances or inadequate instruction. The instructor should strive to maintain motivation at the highest possible level. In addition, the instructor should be alert to detect and counter any lapses in motivation. Where Does the Motivation To Learn Come From? Motivation to learn can come from many sources. Some students have a fundamental interest in aviation and experience sheer fascination with aircraft or with the experience of flight. Other students may decide that aviation provides an opportunity to develop a wide variety of technical, physical, communication, and problem-solving abilities. Some see aviation as a way to boost their self-image or ego. Other students are motivated by tradition and wish to follow in the footsteps of a relative or close friend. 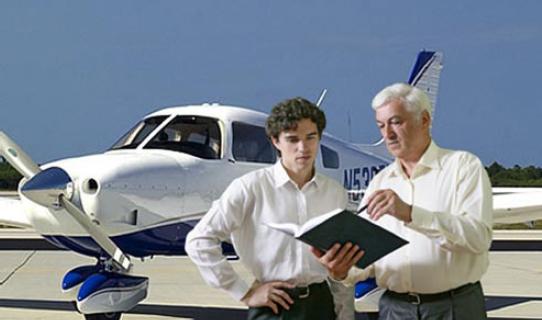 Some students are motivated to pursue aviation training because it offers a promising career. To others, aviation offers prestige or acceptance within social groups. Some may think that aviation offers fun and excitement or simply a more convenient form of transportation. All of these sources of motivation have one thing in common: they all offer some type of reward in exchange for performing the hard work. Teaching the adult learner was discussed in Human Behavior, but aviation instructors should keep in mind that adult learners who are motivated to seek out a learning experience do so primarily because they have a use for the knowledge or skill being sought. Learning is a means to an end, not an end in itself. Based on this, it is important instructors determine why a student enrolled in the course. Based on preference and/or class size, an instructor can conduct a brief personal interview with the student or have the student complete a student information form. [Figure 2-23] Asking questions such as “Why are you taking this course?” or “How do you plan to use the information you learn in this course?” may be all that is necessary. Figure 2-23. An instructor’s first task with a student is to learn about personal goals to help him or her stay motivated to learn. A short questionnaire can be helpful in gathering additional student background information. For example, it is helpful to know a student’s familiarity with the subject matter. Questions such as “Have you ever taken a course in aircraft maintenance?” or “Have you ever flown a small airplane?” or “Have you had any on-the-job training in avionics?” should garner the type of information needed. A short questionnaire also offers an instructor the chance to discover how the student learns best (small groups, independent study, etc.). Another possible way to gather information about a student is to have him or her write a brief autobiography which includes any experience with the subjects being taught. However an instructor gathers information about students, the information helps the instructor allow for not only personal learning goals for the course, but also the goals and motivations of the students, their background in aviation training, as well as their learning preferences. An instructor armed with this information can make the learning experience beneficial to all involved.